Tahu bacem is a traditional meal from Mataraman area, Central of Java. Actually bacem is a way to make the meal stay longer, in this case for tofu and tempeh. They marinated them with spices then cook for sometime. Then you can store them in refrigerator and only fry them when you need it. 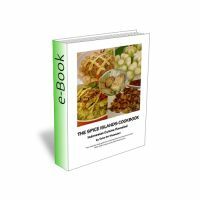 Central Javanese meal is known with the sweetness in their taste. They like to add palm or brown sugar in their meal. 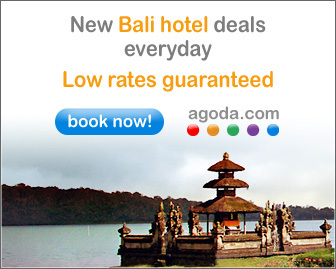 They have many delicious foods such as Gudeg, Ayam Goreng Kalasan, Nasi Liwet, etc. My mother’s mom is from Jepara, a small town in Central of Java. Sort of she ‘inherits’ her taste of cooking until when my mom married to my father and he is more into spicy food than sweet ones. But once a while she still cooks some sweet food. 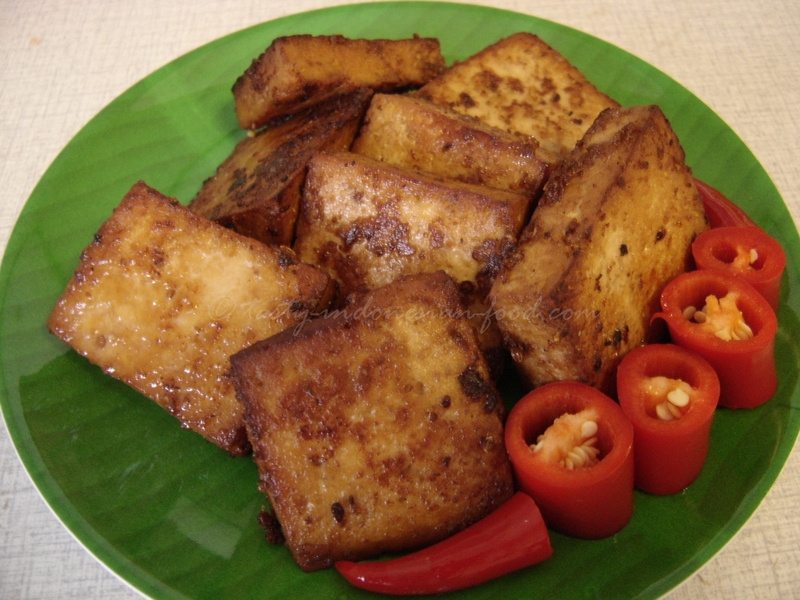 This Tahu bacem recipe can also used for tempeh. 2. Boil the coconut milk/coconut water together with tofu, galangal, salam leafs, and spice paste. Add the water and continue cooking until the spices and water are absorbed. Then cool them off.